Charles Cheney (1803-1874), while a resident of Mt. Pleasant (Mt. Healthy) was an active abolitionist, conductor on the Underground Railroad, and candidate for state legislative office on the Liberty Party ticket. From a Manchester, Connecticut family of eight brothers, Charles made his way west in 1835, creating a farm on Mt. Healthy’s fertile soil. An entrepreneur who as a young man owned a dry goods store in Rhode Island, Cheney participated in the short-lived economic bubble centered on mulberry trees by establishing a 3000-seedling nursery here in Mt. Healthy. Mulberries were the feedstock for the fledgling domestic silk industry, and agricultural journals of the time abound with enthusiastic promises of great wealth to be had in the sale of trees. Although the mulberry tree boom went bust by about 1839, silk production using imported cocoons was still quite lucrative, and the Cheney Brothers went on to found a silk manufacturing company in Manchester, Connecticut that was a leader in that industry for over a century. Cincinnati was an exciting and dynamic city that in the 1830s had captured the imagination of the nation; to “go west” meant to emigrate to Cincinnati, the gateway to the west, and be part of the American experiment in self-invention. Cheney was a pragmatic businessman, but with a strong sense of civic duty. According to a pamphlet from the Manchester Historical Society, “the Cheneys were entrepreneurs, business executives, inventors, abolitionists, artists, architects, authors, philanthropists, and influential citizens of the town and state.” Charles likely would have arrived already influenced by abolitionist ideology: by the mid-1830s Anti-Slavery societies were sprouting in Hartford and in Cheney’s home town of Manchester. (As early as 1791, a Society for the Abolition of Slavery was founded in Hartford.) The abolitionist Theodore Weld was from Connecticut, as were the Stowes. Charles’ sister-in-law Ednah Dow Cheney was a prominent Boston abolitionist and secretary of the New England Freedman’s Aid Society. Here in Mt. Healthy Charles knit himself into the fabric of civic life and became a respected member of the community: one of the first postmasters, a member of the fledgling Mt. Healthy board of education, the president of the Cincinnati and Hamilton Turnpike Company. It was not long before Charles was an active abolitionist, and involved with aiding fugitives on their way north to freedom. According to his eldest son, Frank Woodbridge Cheney, their home was often visited by freedom seekers. A young man, Jim Dunlap, the eldest son of a family of free Blacks who worked for the Cheneys, ferried fugitives in a “light running wagon” equipped with curtains up to Hamilton, where they would meet the next conductor to ferry them north. ( from “The Underground Railroad”, a 19 page paper presented by Charles’ son Frank Woodbridge Cheney in 1901 to the Monday Evening Club. Manuscript held by the Connecticut Historical Society. See the full text in Research.) As president of the Cincinnati and Hamilton Turnpike Company, which built and operated a 22-mile stretch of Hamilton Pike, Charles was able to appoint toll-gate keepers who could be trusted to misdirect pursuers who were hot on the trail of the fugitives. Like minded people tend to draw toward one another, and certainly Cheney’s role as secretary on the first board of trustees of Farmers College (1845) and his active involvement with the Cincinnati Agricultural and Horticultural Societies, brought him into contact with local abolitionists such as Freeman Cary, Samuel Fenton Cary and Andrew Ernst. Charles befriended Salmon P. Chase (1808-1873), at the time a Cincinnati attorney who devoted his legal practice to defending the victims of, and later his political career to ending the institution of, slavery. The two became running mates on the Liberty Party ticket, Cheney a candidate for state representative in 1843 and for the Ohio Senate in 1844. Frank Woodbridge recalled that the Chase family called on them often, and Mr. Chase noted in his diary that he “dined with Mr. Cheney” on several occasions. Cheney was one of the speakers who made the rounds of Liberty Party gatherings throughout Hamilton County, stumping for the anti-slavery slate of candidates. Charles’s eldest son Frank Woodbridge also recalled the friendship between his father and John Van Zandt, a Glendale-based conductor on the Underground Railroad who was caught in 1842 in the act of transporting fugitive slaves. Sued for monetary damages by the freedom seeker’s “owner”, Van Zandt was defended by Salmon P. Chase. The case went all the way to the Supreme Court of the United States (Jones v. Van Zandt), with a final decision upholding slavery in 1847. Van Zandt was left destitute by the lengthy legal battle, and died that same year. Despite his active engagement in civic life, his love for his bountiful farm, and his involvement in abolition and the Underground Railroad, the death of his wife Waitstill in 1841 led to an increasing loneliness. Through the mid-1840s Charles courted and wed a New England socialite, Harriet Bowen, who would not consider the rough and simple life of the West, and so by 1847 Cheney sold his beloved farm and moved with his two sons back to Connecticut, joining his brothers in building the silk business. 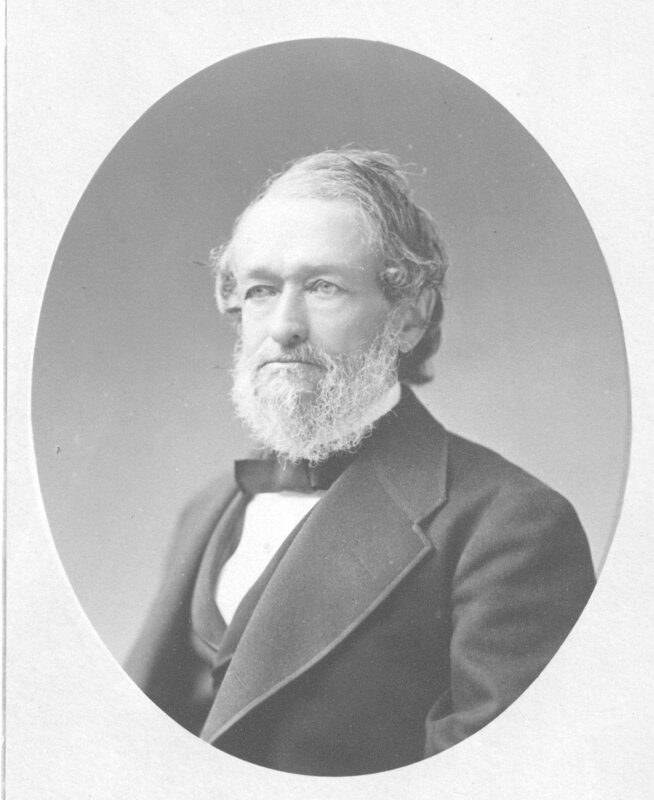 Until his death in 1874 Cheney was extremely active and involved in civic life in Connecticut, including two terms in the state Congress. Today the Cheney Brothers Business District in Manchester, Connecticut is remembered as a National Historic Landmark.